Part of being in the Blue Mountains, especially in summer, is the awareness of bush fires and how quickly they may devastate a community. In October, coverage of fires in the mountains remained steady on news programs while the sound of choppers passing our house made it all too real. This year, we saw the worst fires in a decade. Over 200 homes were destroyed in the region and we were put on alert here in Wentworth Falls when several fire trucks parked outside our home stating that if the wind changed, in all likelihood the fire would rise up from the valley and head along our street. Neighbours have been through these fires here twice before, so we were taking cues from them and blocking the downpipes on the roof, packing our valuables in the car and remaining vigilant. Thankfully, the fires did not reach us, but the experience made it all too real and we are better prepared for future events. 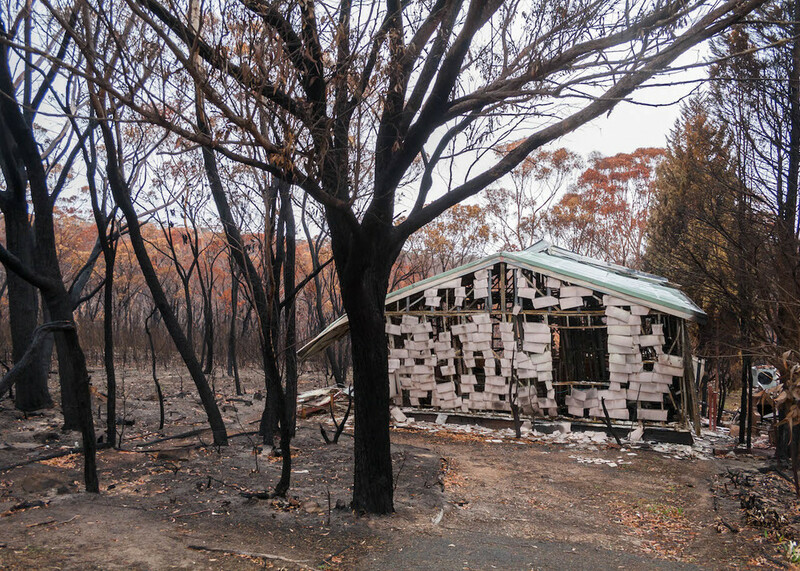 Last weekend we drove to Mount Victoria to witness some of the devastation. The first thing I noticed getting out of the car was the acrid smell of smoke lingering and seeping from the landscape. The blackening of tree trunks and the orange colours of burnt foliage was a striking vision and held its own kind of beauty, however tragic. I needed to remind myself that bush fires have an integral part of regeneration in the landscape which is offset by the tragedy that anybody should lose their home.